Diwali - the king of festivals in India is also the most awaited one. Better known as the festival of lights, it symbolises the celebration of truth over evil, of right over wrong. One of the most significant and most celebrated Hindu Festivals in India, Diwali is a festival of devotion, lights and colours and the festivities are not complete without music. The illumination on Diwali signifies end of darkness, which stands for ignorance and the beginning of knowledge symbolised by lights that shall enlighten all. This album presents bhajans on the festive spirit invoking the Gods to invite prosperity and well being. Devotion comes together with soul-stirring melodies to make the occasion a special one. The sparkling compositions in the beautiful voices of the legends Rajan & Sajan Mishra and Shubha Mudgal are sure to light up the festivities in a special way. From the auspicious welcoming of the festival to the celebration of dhanteras, the invocation to Lord Ganesha, the celebration of lights with diyas and the all encompassing spirit of happiness are portrayed through the bhajans presented in this album. 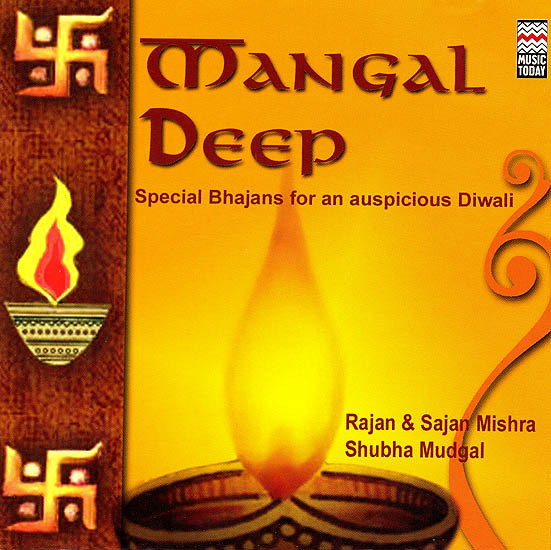 Celebrate Dewali this year with special Bhajans for the auspicious festival collected specifically to make this occasion a joyous one Steeped in bhakti rasa, the bhajans sung by legends Rajan & Sajan Mishra and Shubha Mudgal evoke prosperity and happiness to add glory to the festival of lights.